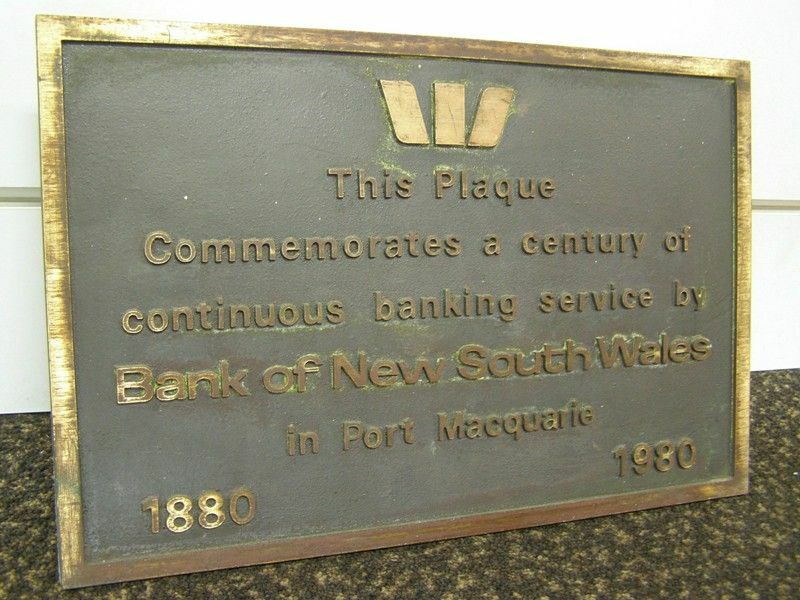 A plaque commemorates a century of continuous banking services provided by the Bank of New South Wales in Port Macquarie. The Port Macquarie branch of the Bank of New South Wales was opened on the 6th July 1880 under the management of Mr. Waraker. Note : The plaque is no longer attached to the facade of the building. It is currently being stored in the bank's strong-room.